It's a bird, it's a plane, it's a... Volvo? Geely, the Chinese parent company of Volvo, is certainly shaking things up in the automobile industry lately. Not only has Volvo announced their decision to exclusively ship electric and hybrid vehicles by 2019, but Geely just made the decision to purchase Terrafugia - the startup best known for their creation of the Transition. The Transition is a plane/car hybrid vehicle that the company describes as "the world's first practical flying car." 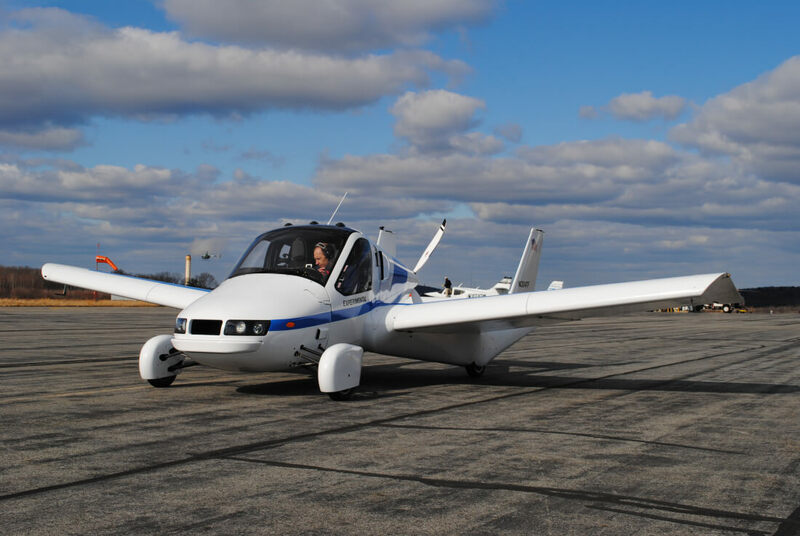 Although flying cars are already in development by various ambitious startups, very few (if any) of them have come as close to making a truly practical road and air worthy vehicle as Terrafugia has. In addition to having a cruise speed of 100 mph, 400 miles of range and full approval from the General Aviation Administration (making it road and air legal), the Transition also boasts an impressive suite of safety features. It has airbags, pre-tensioning load-limiting seatbelts, a crumple zone, and a full vehicle parachute - not to mention its ability to avoid terrain collisions via autonomous flight technologies. It is easily the flying car prototype with the most potential at the moment, so it's not difficult to see why Geely would be interested in buying into that sort of tech. With Geely's significant financial backing, Terrafugia's ambitious plan to create a fully electric, mass-market flying car -- nicknamed the TF-X -- with VTOL (vertical takeoff and landing) capabilities might just become a reality. Still, that sort of technology won't be here for a while. As for what we might see from Terrafugia in the near future, they've announced plans to start shipping out their Transitions within the next few years - after they've finalized production vehicle design and compliance testing. It's yet unclear if their recent acquisition will have an impact on that timeline.